Designers, scientists and psychologists are increasingly exploring how the material we eat off can enhance or inhibit the taste of the food we eat. Recent experiments by Professor Charles Spence, of the department of Experimental Psychology at Oxford University, have found that strawberry desserts eaten off white plates are perceived as 10% more sweeter than those eaten off black plates; and that sweet things are associated with rounder shapes while bitter and carbonated tastes are associated with more angular shapes. 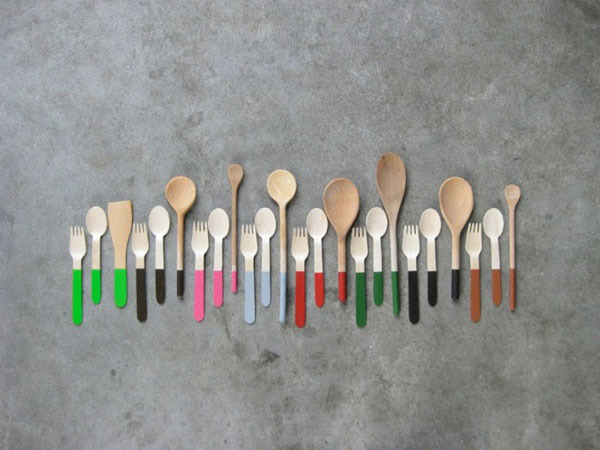 Practical applications could include strategies to reduce the sugar content of foods - by using a material or colour for a dessert spoon that people perceive as sweeter. Listen to Spence being interviewed by Simon Parkes on BBC Radio 4's Food Programme here, and read our report, Taste of Tableware, to see how others are experimenting with this idea.